ST. LOUIS (October 5, 2015) – Equifax Workforce Solutions, a leader in human resource, analytics and verification services, and a business unit of Equifax Inc. (NYSE:EFX), today announced I-9 Anywhere, a cutting-edge software package enabling companies to streamline their Form I-9 completion process, has been recognized as a Top HR Product of 2015 by Human Resource Executive® magazine. The company will be honored with this designation on Monday, October 19, 2015 during the 18th Annual HR Technology Conference & Expo at the Mandalay Bay in Las Vegas. The Top HR Products contest is designed to recognize the best and most cutting-edge human resources solutions released in 2015. Selected by the editors of Human Resource Executive, the product submissions are measured based on their level of innovation, value added to the HR function, intuitiveness for the user and the product’s ability to deliver what it promises. Following extensive review and assessment of each submission and associated product demonstration, I-9 Anywhere was selected as a Top HR Product of 2015. More companies today are expanding their remote workforce, hiring employees to place with their customers or centralizing critical HR functions, leaving locations without onsite HR management. The hiring, onboarding and management of these dispersed employees can introduce some significant challenges and expose the employer to unnecessary risk if not managed effectively. This is particularly true regarding the federally required Form I-9 completion process, which allows an employer to verify a new hire’s identity and document their eligibility to legally work in the United States. As the Form I-9 must be signed by the employer or an authorized representative, requires physical examination of Section 2 documents and must be done within the three-day filing window, completing this important form can introduce new obstacles for remote employees. Employers that fail to complete Form I-9 effectively can incur heavy fines, creating additional pressure to complete the process successfully. With I-9 Anywhere, Equifax Workforce Solutions streamlines how employers manage the Form I-9 process regardless of the new hire’s location. Rather than flying a new hire to a company location with a trained official to manage the Form I-9 process, employers can designate a Section 2 Completer and provide user access that limits functionality to the workflow essential for completing Section 2. I-9 Anywhere securely links the trusted completer to the appropriate employee through the use of a unique ‘receipt code,’ helping employers meet the Section 2 document physical inspection and mandated completion time requirements. It also helps employers address the form’s stringent compliance demands in a secure and cost efficient manner, while providing a more positive onboarding experience, wherever their new hires are located. 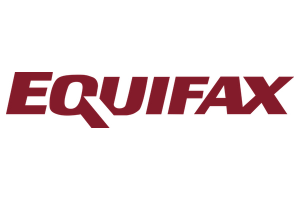 Equifax Workforce Solutions has long maintained a legacy of innovation, introducing technology advancements that change how companies hire and onboard talent. The company has won a Top HR Product award twice in the last three years, also winning in 2013 for its Affordable Care Act (ACA) Management Platform. The company also received this distinction 10 years ago for I-9 Management, its paperless solution for the management of Forms I-9, highlighting the company’s ongoing ability to create award-winning technologies. Recently, the company announced some historic milestones for its I-9 Management solution, including processing over 21 million Forms I-9 for more than 1,000 clients. Attendees of the 2015 HR Technology Conference & Expo are encouraged to visit Equifax Workforce Solutions at booth no. 1527 to learn more about I-9 Anywhere and the company’s additional industry-leading HR, analytics and verification services.